We provide help when you’re locked out of your home office or car or when you need a solution to any issue with your doors, locks or safes in residential premises. Our wide array of residential services can also assist with your home security. We will help to keep your businesses and commercial premises secure. We frequently carry out work for pubs, restaurants, clubs, gyms, leisure facilities, hotels, offices, shops and other commercial buildings. Locked out, lost or broken car keys? Don’t worry! We will help you with our auto locksmith services. We will have a locksmith on their way to you in no time and have you back on the road. Trouble finding a locksmith in London with affordable price? 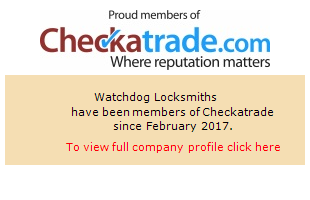 Watchdog Locksmiths provide local emergency services for your home, business or automotive across the Greater London area. Our locksmith services include lock changes, lock installations, car lockouts, house lockouts, car key replacement, safe repair & installation and more . . . . We can get a locksmith on their way to you within 30 minutes after your call and offer our services day or night. We look forward to your call. If you need to replace or change your door locks, auto locks. We have locksmiths located across the whole of London. We fit the most well known and reliable brand of locks at the best prices you can find. Locked out? Need a lock change & repair?‎ Call Watchdog Locksmiths, In less than 30 minutes, our local locksmiths will be at your address and will get you back in your home and if necessary with a new lock and keys. No call-out charges.